Hazel, the main character of the story, is a sixteen-year-old girl who wears a cannula and has thyroid cancer in a modern suburban town in the United States. When her mother forces her to go to Support Group for cancer kids, she meets a seventeen-year-old boy named Augustus who has lost a leg due to osteosarcoma. Hazel has not been in school for three years due to cancer, so she has difficulties making friends. However, her friendship with Augustus is different. 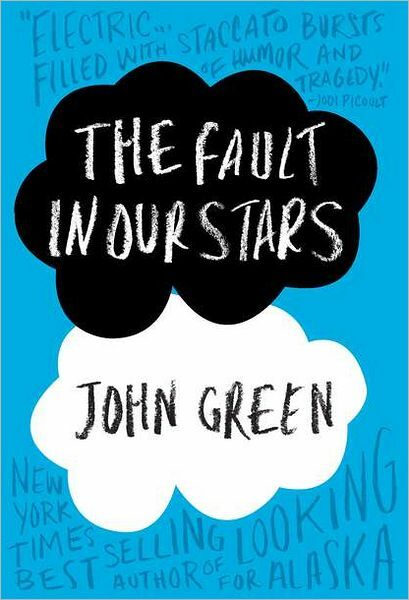 Augustus reads Hazel’s favorite book, An Imperial Affliction, and because the book does not have an ending, they contact the author, Peter Van Houten. The author says he will tell them the ending if they go to Amsterdam, where he lives. During this trip, Augustus’s and Hazel’s relationship start to strengthen. They look out for each other and are very romantic in Amsterdam. However, when they are at Peter Van Houten’s house, they are not welcomed and he does not answer their questions for An Imperial Affliction. A day before they leave from Amsterdam, Augustus tells Hazel that he had cancer before they left for the trip. When they arrive home, Augustus’s cancer worsens. Hazel becomes more comfortable with making new friends because of her experiences with Augustus, therefore overcoming her difficulty of making friends. After a few weeks, Peter Van Houten tells Hazel the answers to what she and Augustus asked, resolving the fact that Hazel and Augustus do not know why An Imperial Affliction is not finished. When I read this book, I thought that this book’s only weakness was the usage of capital letters in odd spaces. Because of the this, I thought this book was informal writing. However, as I read through this book, I began to become more used to it and at the same time, the number of those decreased significantly. I also liked the numerous parts of this story where it is tragic and humorous. The story’s plot was extremely interesting because I liked the reactions of the characters in this book, and it was challenging to find the conflict, climax, and resolution. I would choose this book again if I could go back in time, because I enjoyed the plot and the word choice. The author’s strong and descriptive word choice was an aspect of the book that I really enjoyed, because the author could put his point across without confusion. This book would be my favorite book by far because this story is tragic, humorous, has good word choice, and I loved the plot of the story. Because this is my favorite book so far, I would give this book a nine and three-quarters stars out of ten stars. 1. What does Augustus’s parents call him? 2. Why does Hazel like An Imperial Affliction? 3. Why does Hazel dislike exposure to her peers? 4. Why do Augustus and Hazel write to Peter Van Houten, the author of An Imperial Affliction? 5. Why do Augustus, Hazel’s father, and Hazel talk about orange things? 6. Who is Caroline Mathers and why does Hazel connect to her? 7.Why are Hazel and her parents so sad after the cancer meeting? 8. Why does Augustus stay away from Hazel when they are waiting in the airport to board the plane to go and see Mr. Van Houten in the Netherlands? 9. Why does Hazel become really mad when she is in Peter Van Houten’s house? 10. Why does Augustus not tell Hazel about him having cancer again until their trip has almost ended? 11. Why does Gus not want to call his parents when he is hurt at the gas station, but calls Hazel instead when his G-tube is broken? 12. Why does Hazel want to go to Support Group on “The Last Day” with Augustus but her parents do to want her to go there? What do they do there? 13. Why does Hazel not want to whisper to Augustus’s grave during Augustus’s funeral? 14. Why does Peter Van Houten come to Augustus’s funeral and how does he come there? 15. How does Peter Van Houten say sorry to Hazel after what he did during his trip to Hazel and Augustus? Also, why does Hazel accept his apology?